Sault Ste. Marie – home of some of the coldest and snowiest winters in Ontario. Most of our out-of-town guests can’t believe the amount of snow our city accumulates. But you know what? A lot of us Saultites love it! The long, snowy seasons in Sault Ste. Marie allows us to experience some of the best winter activities this province has to offer. Whether it be skiing at Searchmont Resort or ringing in the festivities of Bon Soo, there’s is always plenty to do during the winter in Sault Ste. Marie! If you’re looking for a place to ski or snowboard, then you have to check out Searchmont Resort. 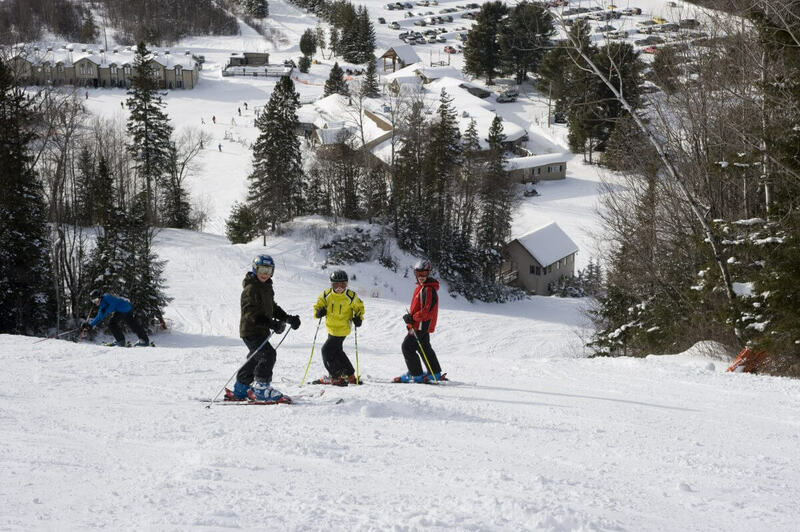 About a 40-minute drive north of the Sault, Searchmont has 21 runs for you to explore on your way down the 700-foot hill during the day and even at night! In addition to the cruising the mountain, events and entertainment are always happening in the lodge for you to enjoy. Don’t own a pair of skis or a snowboard, no problem! Searchmont offers daily and weekend rates for full equipment rentals. Whether you are a beginner or an experienced skier or snowboarder, Searchmont is the perfect place for winter sport and entertainment! Interested in going? Searchmont offers a 2-night off-site package that includes a hotel room and 2-day lift tickets. Update: On Nov 1st, 2018, Searchmont was purchased by Wisconsin Resorts and big plans are in the works. Stay tuned to their social media and website to stay up-to-date on all the plans! Sault Ste. Marie and the surrounding area has some of the best Nordic skiing tracks and facilities in Canada. 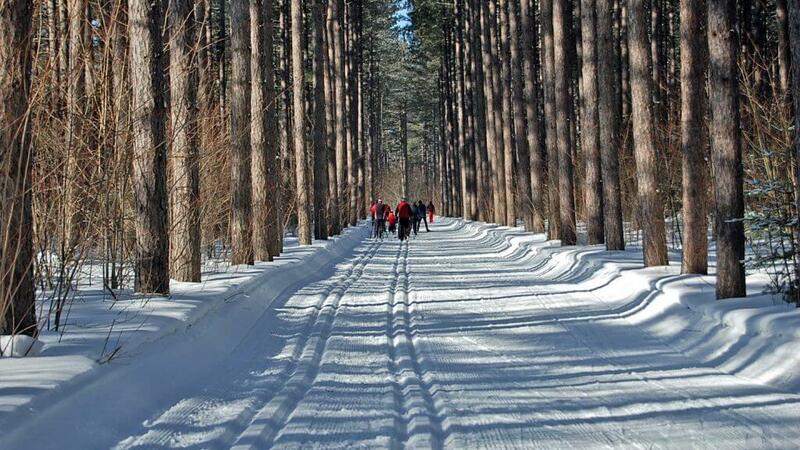 There are thousands of trails in the area that provide skiers with breathtaking views of the snowy Algoma landscapes. 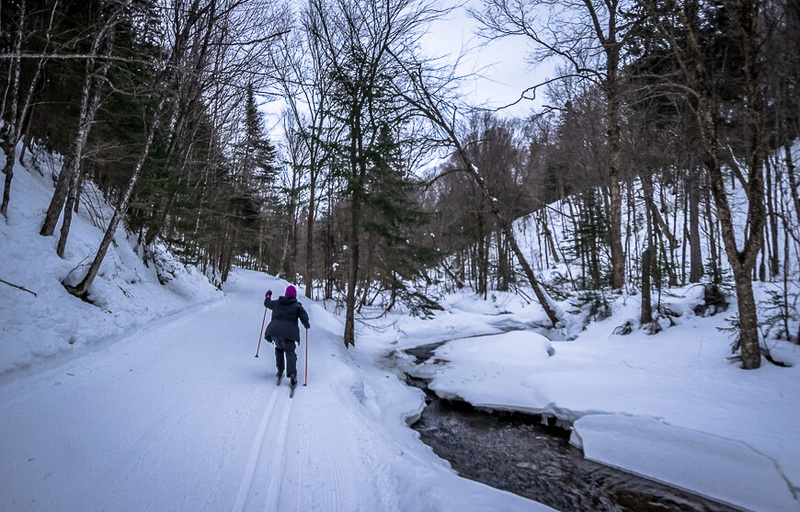 Hiawatha Highlands has over 45 kilometres of groomed single and double-tracked trails making it an awesome destination for cross-country skiing, snowshoeing, and fat-biking, even at night! Their Snow School offers introductory sessions for children who want to learn to snowshoe or cross-country ski. Hiawatha makes a great destination for birthday parties. Stokely Creek Lodge, located 35 km north of the Sault in Goulais River, has 8000 acres for you to explore. With a range of gentle to advanced trails, they offer snowshoeing and cross-country skiing for all skill levels. Have a home-cooked lunch on the trail or sit down after your day to be treated to a delicious candle-lit dinner. This year, Searchmont, Hiawatha and Stokley Creek have teamed up to offer discounts at each other’s locations. If you have a season pass from either of the three locations, you will receive 25% off a day pass at the other spots. There are plenty of rinks around the city for you to enjoy a casual skate or a great game of pick-up hockey. All community rinks are free admission and are open until 10pm. Looking for a new and exciting winter activity? Check out Superior Exploration, Adventure & Climbing to learn how to ice climb! 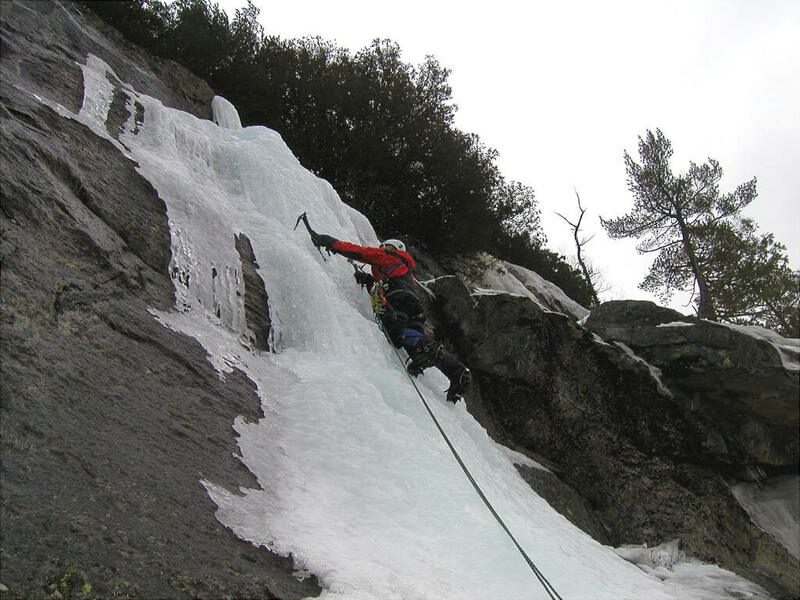 Shaun Parent has over 30 years of experience ice climbing in the Lake Superior region and offers different ice climbing courses for all levels of experience. The courses can take you to Batchawana Bay, Agawa Canyon, or all the way to Montreal River Harbour. Check out their website for course prices. Looking for more? 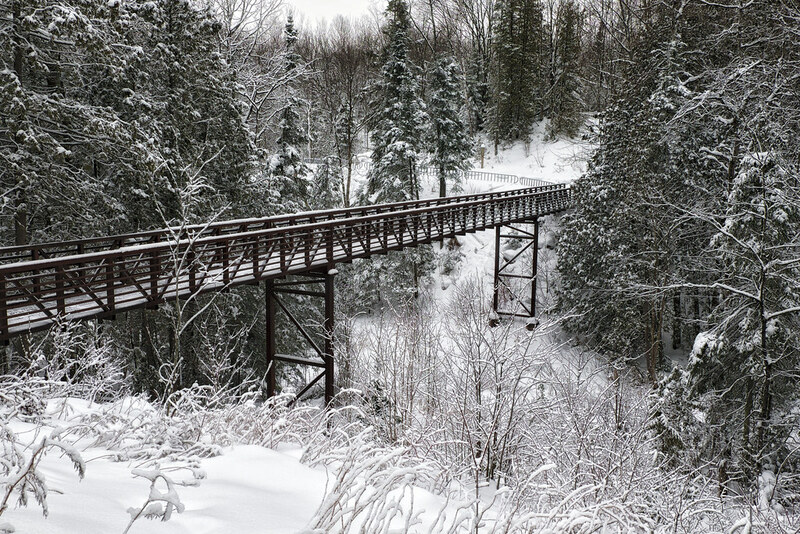 The Sault’s beautiful winter landscapes offer plenty of activities for the winter explorer. If you’re into snowshoeing, Hiawatha, Stokley Creek, the city’s golf courses and plenty of other areas have trails for you to traverse. Plenty of cross-country trails can also be found in the Algoma region in Thessalon, Elliot Lake, St. Joseph Island and many nearby provincial parks. Thanks to the volunteers at the Sault Trailblazers Snowmobile Club, the Sault is considered to have some of the best snowmobiling trails in the district, perfect for any snowmobile lover. With plenty of frozen lakes in the area, the Sault offers exceptional ice fishing for a variety of target species such as cold-water trout, whitefish, northern pike and the ever popular walleye. Hockey fan? Check to see if the Sault Ste. Marie Greyhounds are in town! 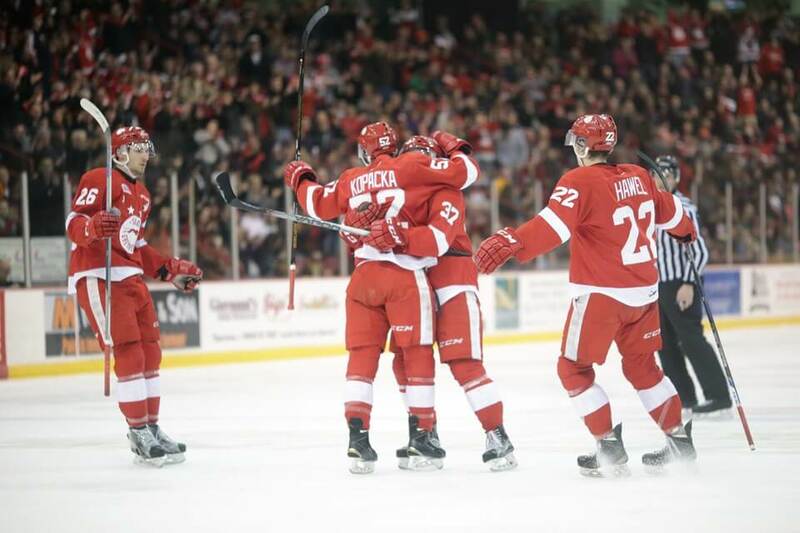 Continuing off the success of last year, the Greyhounds are currently a top 5 team in the Ontario Hockey League (OHL). The hockey is fast-paced and the atmosphere at the Gardens is always high. If you’re in town, check their schedule and go catch a game at the GFL Memorial Gardens! Happening every year in early February, Bon Soo is the Sault’s major winter festival. This carnival has been running since 1964 and has been a staple in the community ever since. Featuring fireworks, food, sports, entertainment and the famous Bum Slides and polar bear swim over a 10-day span, there is something for everyone at Bon Soo. 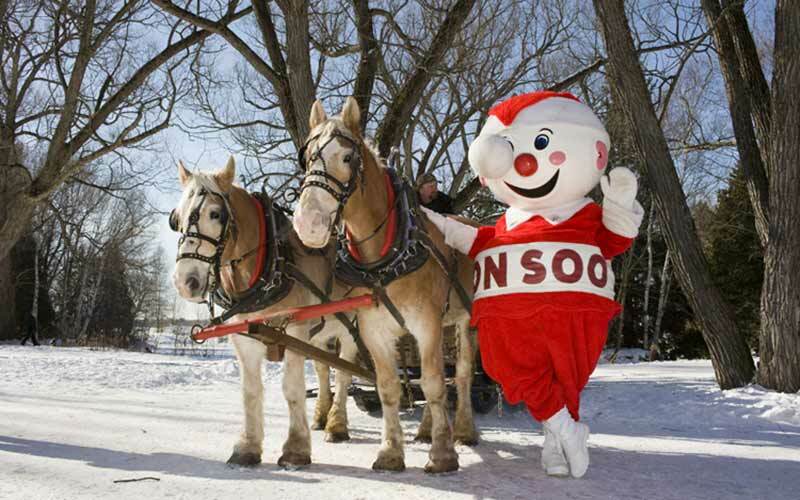 This year’s Bon Soo just past, but be sure to stay tuned for next year’s winter carnival! Take your significant other or the whole family for a horse-drawn sleigh ride at Mockingbird Hill Farm. You will pass historic buildings as you travel through the quiet forests and over the snow trails. The wood-heated Old Church is available for parties after your ride. 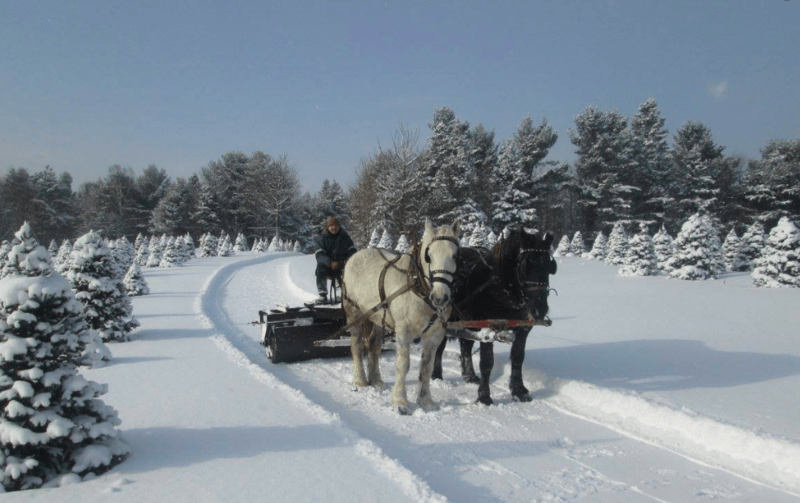 Give Farmer Bob a call to book an unforgettable sleigh ride this winter. If you’re into film, the Shadows of the Mind Film Festival runs from February to March and showcases films that spread awareness about mental health, addiction and many other social topics. Check out their website to see the dates and times for each of the films that are playing in the new year. The winter wonderland of Sault Ste. Marie offers something for every winter-lover. If you’re a long-time winter explorer or if you’re looking to indulge in winter activities for the first time, come stay with us and experience what the Sault has to offer! If you’re planning a trip for the summer, check out our summer activity guide.